EDL Retreat Before the Battle! 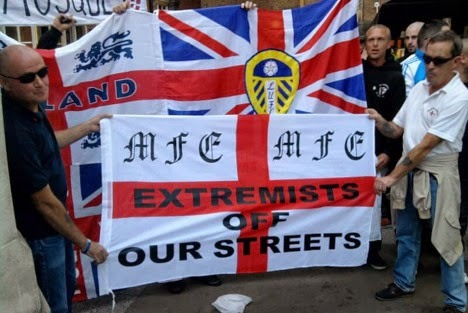 On April 22nd 2012 a group called March for England, which contained a mixture of EDL, Infidels, Casuals and Gullibles, staged another of their St. George Day’s marches. 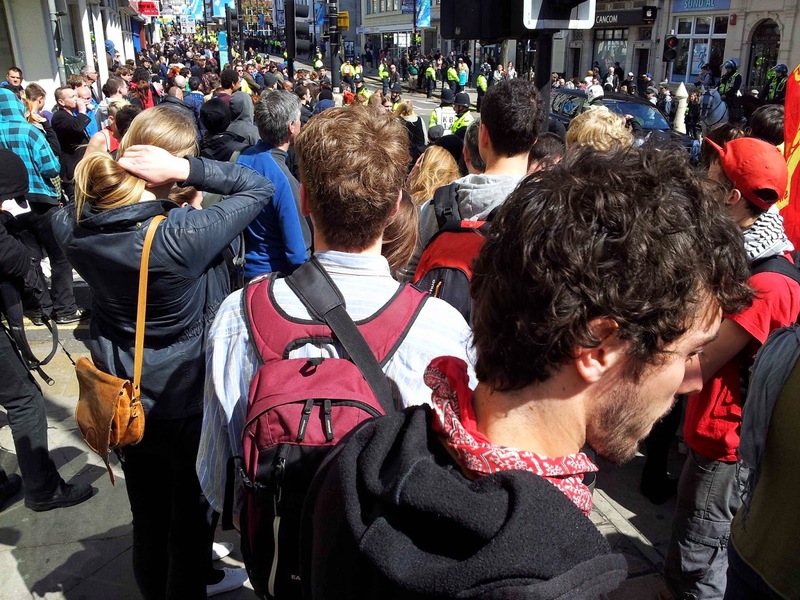 What happened was a mass mobilisation by the local Anti-Fascist Network and a spontaneous revulsion by local people on the day. 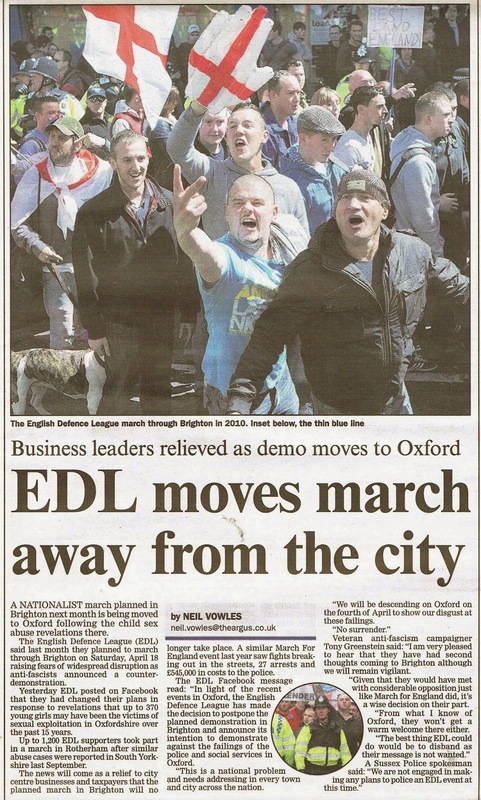 I did a report EDL/MFE - We Won the Day which has a very interesting video of the day on it. 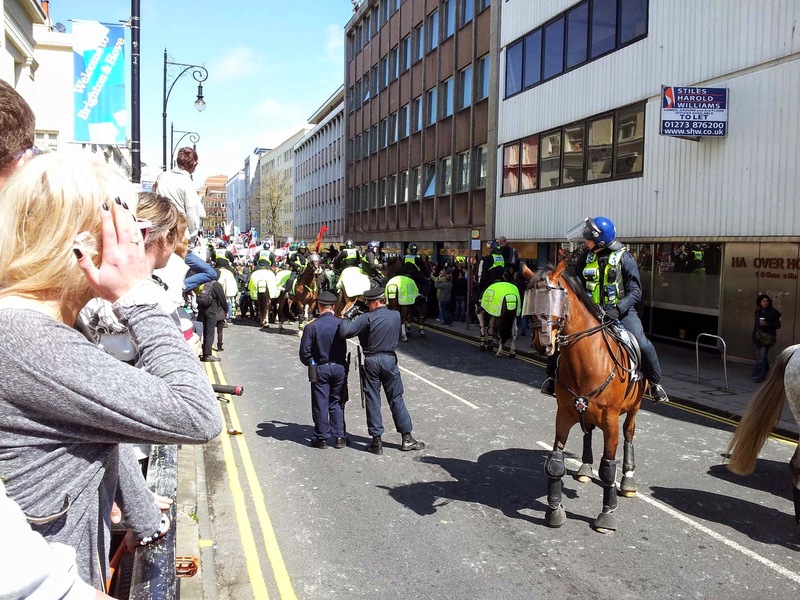 The result was that the Police’s attempt to march MFE through the town was halted after barely a quarter of a mile as the fascists were shunted down a side street and given a ring of protection by the Police at their meeting point before being bundled off on the train. 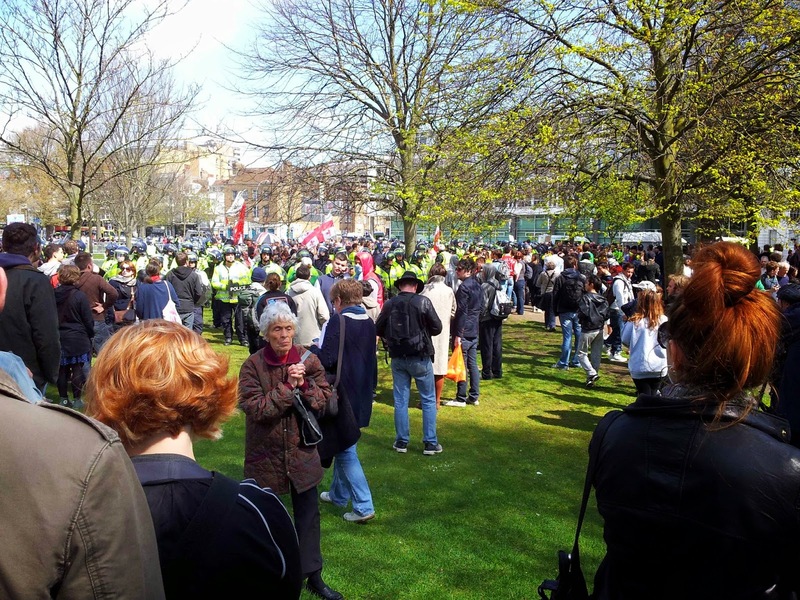 Since then MFE have been given lousy sea-front routes, where their only audience were anti-fascists or the seagulls. 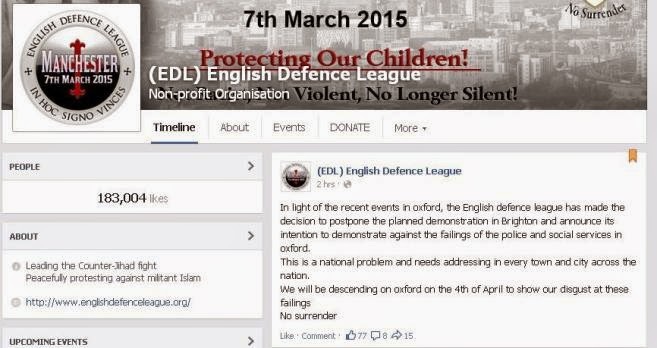 This year they called it a day and in their place the English Defence League announced a march. 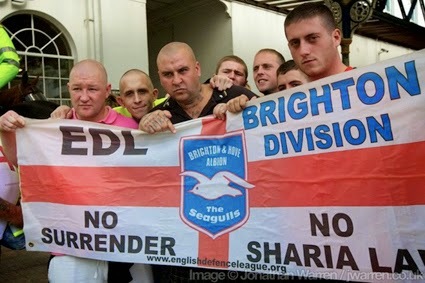 Now the EDL have had second thoughts and decided that cowardice is the better part of valour! 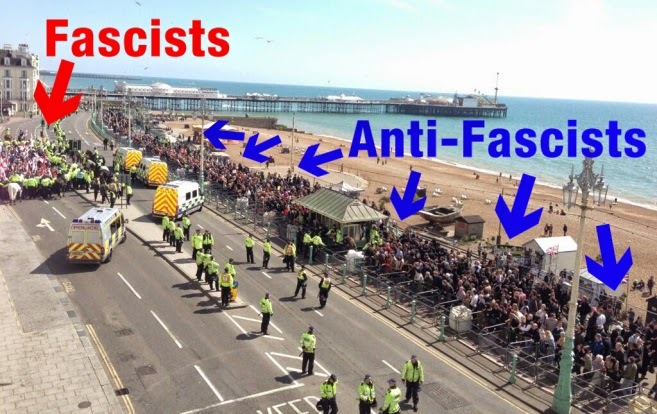 Another local victory over fascism!